On An Overgrown Path: What would it take to invite a black conductor to the Proms? 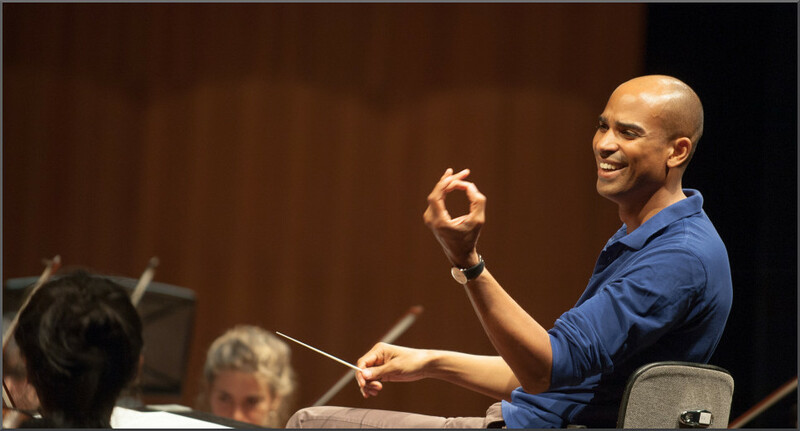 What would it take to invite a black conductor to the Proms? There have been more than 500 BBC Proms since 2003, but not one has had a black conductor on the podium. As a recent Guardian editorial declared about the paucity of women conductors "It wouldn’t be acceptable in other professions. It isn’t acceptable here either". Kevin Scott added the comment below to my post We also need more black conductors at the Proms. I am publishing it separately because it provides valuable information on the talented black conductors that are being shamefully overlooked. Another post highlighted the unhealthy level of control over artist appearances exercised by a few large management agencies. A comment from John McLaughlin Williams echoes that view in these words: "I've said before that if administrations and managements want to find someone of color, don't call other admins and managements; they don't possess the resources. They need merely to call one of us, for we know far more qualified individuals than they and are happy to recommend them". If Proms director David Pickard or other concert managers wants assistance in bringing black conductors to major venues they know who to contact. But let's also enjoy some good news. On Sunday (Sept 4) Mark Elder and the Orchestra of the Age of Enlightenment maintain the status quo at the Proms. But at the Festival Hall Kevin John Edusei [seen below] conducts the Chineke! Orchestra, a professional orchestra made up entirely of black and minority ethnic musicians. The programme includes Sheku Kanneh-Mason playing Haydn's Cello Concerto, the Suite from L'amant anonyme by 'the black Mozart' Joseph Boulogne (Chevalier de) Saint-Georges, and Dvorák's syncretic Ninth Symphony. What a missed opportunity for the BBC Proms. Kevin Scott writes: The first thing that concert promoters, executive directors and musicians will say is "we don't see color." Fine, and in a Star Trek universe, we wish this was the case where everyone is seen, treated and compensated as equals. Not in this present day, however. What would it take to invite a black conductor to the Proms? Well, the first thing someone would ask is "can you name me one significant black conductor, American or not, who is on the same footing as Dudamel, Harding, Nezet-Seguin, Gilbert or Welser-Moest? ", or any conductor aged between 25 & 50 who holds prominence in classical music circles. The lay listener would be at a loss, because conductors of African heritage, or even indigenous black Africans, have not held positions with major symphony orchestras, let alone being invited to conduct them. Part of the problem is that those who are known are caught in a Catch-22 trap where they are music directors of orchestras, but the orchestras are considered second-tier. Such is the case with Kevin John Edusei, a German conductor whose lineage is from Cameroon, and he is the music director of the Munich Symphony, an excellent orchestra, but also one that is considered a secondary orchestra when compared against the Munich Philharmonic and the Bavarian Radio Symphony. The same is with Kazem Abdullah [seen in header photo], who is the general music director in Aachen, Germany, a city renowned for its interest in the arts, but again considered secondary when held up against other major cities in that country. Both men have won rave reviews for their appearances and their execution of both standard orchestral repertoire and a firm commitment to contemporary music. Both men should be looked at as prime candidates to conduct one of the major London orchestras at the Proms or, better still, bring them to London with their own orchestras and let the public see for themselves what the buzz is all about. This criteria should also apply to Michael Morgan of California's Oakland Symphony and Andre Raphel of the Wheeling Symphony based in West Virginia. Why haven't either of these conductors, along with numerous other conductors of color such as William Eddins, Leslie Dunner, Brandon Keith Brown, Julius Williams, Kirk Smith, and especially John McLaughlin Williams whose recordings of works by lesser-known American composers have won accolades from the press, have been invited not only to the Proms, but also to appear with major American orchestras as well. Some will argue that most of these men have been welcomed by such orchestras, and those same pundits will also point out that most of the reviews they received from the press say otherwise about their conducting talents, leaving the powers-that-be the decision to bring them back or not, and in some cases, many of these conductors have either had one-shot engagements, or they're relegated to minor concerts that are off the radar. 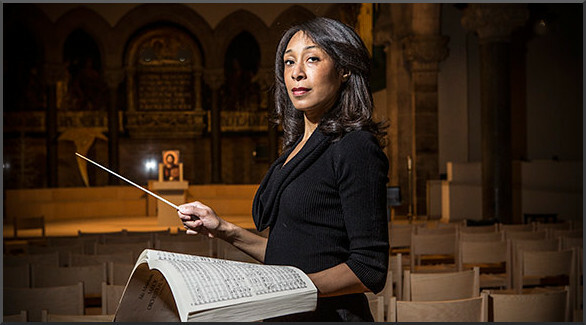 In the case of black women conductors, there are few that have made any kind of inroad on the national level. Tania Leon, Kay George Roberts and Jeri Lynne Johnson [seen below] are the few who are known, but also make rare appearances with major orchestras, which is why we're seeing a dearth of white, Latino and Asian women grace the podium, but no black woman has been granted the opportunity of major exposure like their peers have. This also has to be corrected. Photo sources: Kazem Abdullah via his homepage, , Kevin John Edusei KlassikBOX, Jeri Lynne Johnson via Flying Kite Media. Any copyrighted material is included as "fair use" for critical analysis only, and will be removed at the request of copyright owner(s). No comps involved in this post. Also on Facebook and Twitter. The winner of the last Besancon Competition, 24 year old Charleston, SC native Jonathon Heyward, was one of the youngest in competition and someone to watch. He is currently assisting Marc Elder at the Halle Orchestra.